Signs point to the Arizona Senate special election being a key race in determining who controls the Senate in 2020. On the Republican side of the race to fill the late Sen. John McCain’s old seat, Sen. Martha McSally — who was appointed to McCain’s seat after losing her 2018 bid for the state’s other seat — is expected to run to finish off the last two years of McCain’s term. But she could face a formidable challenger in retired astronaut and Navy veteran Mark Kelly, who announced he’ll run for the seat as a Democrat last month. But Kelly could face his own adversary in the primary, so here’s a detailed look at the possible Democratic primary battle that lies ahead and an early look at the all-important general election. After announcing his plans to run for Senate, Kelly raised $1.1 million in the first two days of his campaign, putting him on par with Sens. Amy Klobuchar and Kamala Harris in initial fundraising hauls for their 2020 presidential campaigns. Considering Democratic Sen. Kyrsten Sinema spent $24 million to narrowly defeat McSally in 2018, Kelly will likely need a similar budget for the state’s upcoming Senate race, so his early fundraising haul is promising. And Kelly is no stranger to politics. He is the husband of former Democratic Rep. Gabrielle Giffords, who survived being shot in the head during an assassination attempt in Tucson in 2011 that killed six and wounded 13. In the aftermath, Giffords and Kelly founded a political organization to fight gun violence, and in the 2018 midterms, their organization spent nearly $7 million to campaign against Republican members of Congress. But despite being a gun control activist, Kelly has indicated he will embrace a centrist, bipartisan approach, similar to how Sinema positioned herself in the 2018 race. But Kelly may not have the Democratic field to himself. Rep. Ruben Gallego is also eyeing the race, and his entrance would set up a centrist vs. progressive battle for the party’s nomination. Gallego is a three-term congressman and member of the Congressional Progressive Caucus, a collection of the most liberal members on Capitol Hill. 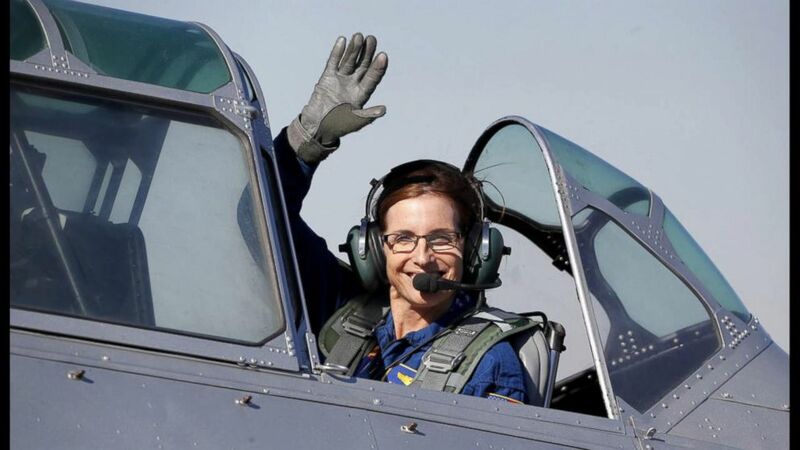 What’s more, Gallego is a veteran, which could help him match qualifications with both Kelly and McSally, who was the Air Force’s first female fighter pilot in combat. How might a Gallego-Kelly primary play out? Well, if we just look at Arizona’s electorate, Kelly might have an advantage. Although Gallego, like 23 percent of the state’s electorate, is Hispanic, the majority of Democratic primary voters are white,1 which might undercut any edge his heritage gives him in a primary. Kelly might also be able to make an electability argument in a primary race against Gallego: An early general election survey of the race from OH Predictive Insights found McSally ahead of Kelly by just 2 percentage points while she led Gallego by 8 points. 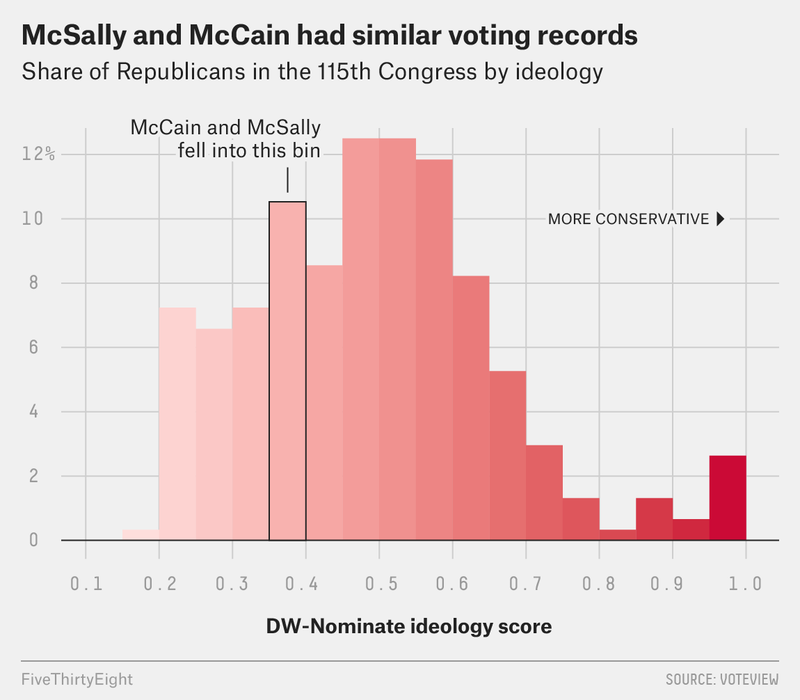 Still, Gallego might be able to use Kelly’s voting record against him, as Kelly has voted in a Republican primary and has switched his party identification between independent and Democratic in the past. Kelly has also caught flak for taking money from big companies while working the speaking circuit. Even more critical is the role geography can play in a primary, as candidates tend to get the most support from their home base. This could boost Gallego, who represents part of the state’s biggest city, Phoenix. Maricopa County, which encompasses Phoenix, usually casts about half or more of all votes in Arizona’s Democratic primaries. Meanwhile, Pima County — which covers Tucson, where Giffords and Kelly are based — casts less than a quarter of the vote. So if Gallego does run, Kelly will have to keep the margins close in Maricopa and elsewhere while performing strongly in Pima to win the primary. *There was no 2012 Democratic presidential primary in Arizona. Primaries for Congress and state offices are held in August; the 2016 presidential primary was in March. Should Gallego run, it’s likely this primary will be competitive, which could make things difficult for Democrats in the general election because Arizona holds its state primaries very late2 — the last Tuesday in August — which leaves roughly two months to consolidate support for a general election candidate. McSally found herself in a similar situation in the 2018 Republican primary when she was up against former Maricopa county Sheriff Joe Arpaio and former state Sen. Kelli Ward, though McSally pulled away at the end with 55 percent of the vote; meanwhile, Sinema coasted to victory in the Democratic primary with 79 percent of the vote against a minor opponent. So if the 2020 Democratic primary proves to be contentious and McSally doesn’t face a notable primary challenger of her own, she could stand to benefit from a heated Democratic primary. But she too could face her own primary — some Republicans didn’t want her to fill McCain’s seat because her performance in the 2018 race raised concerns that she would lose a 2020 race as well. Regardless of who wins the Democratic primary, Democrats face a tough opponent if McSally is the Republican nominee. Although McSally lost the 2018 Senate race, she raised more than $20 million and has experience winning elections in a competitive House district, which she held for two terms until she stepped aside to run for Senate this past November and Democrats captured her old seat. McSally has also received national attention for sharing her experience of being raped while she was serving in the Air Force. McSally’s one of several women in Congress who, since the rise of the #MeToo movement, have spoken openly about their own experiences with sexual assault or domestic violence. McSally’s support of sexual assault survivors may help her cut across party lines and change the perception of the #MeToo movement as a liberal women’s issue. More broadly, the potential competitiveness of the Arizona contest speaks to the state’s evolution toward becoming a battleground state in U.S. politics. Sinema’s 2018 victory over McSally came on the heels of President Trump carrying the state by just 3.5 points in the 2016 election, the smallest GOP edge in Arizona since 1996, when Bill Clinton won the state — the only Democrat to carry the state in a presidential race since 1952. So despite its Republican lean (9 points more Republican than the country as a whole prior to the 2018 election3) Arizona could see a lot of presidential activity in 2020, which could influence the state’s down-ballot elections. This Senate race will be one of the top-tier contests in 2020 — handicappers currently view it as a toss-up (Inside Elections and Sabato’s Crystal Ball) or lean it toward the GOP (Cook Political Report). As the GOP has a 53-47 edge in the Senate,4 most paths for Democrats to retake the Senate require capturing this seat (and others) because it may be difficult for Democrats to retain the Alabama seat that they won in 2017. So just like in 2018, Arizona will host a high-octane Senate contest, one that could be pivotal in deciding the Senate majority.